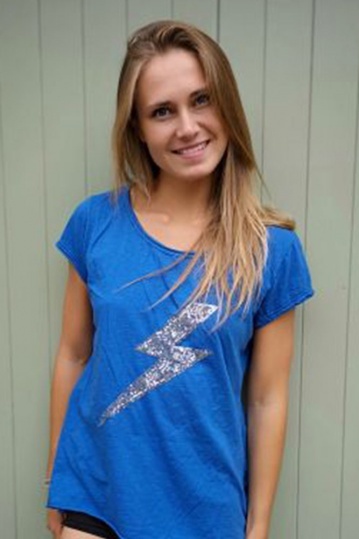 Retro sequin lightening bolt motif tshirt. Bowie inspired this tshirt is a gorgeous cobalt blue. A t-shirt is such a great staple piece to have in your wardrobe. Having the sequin motif makes this ideal for day or night.